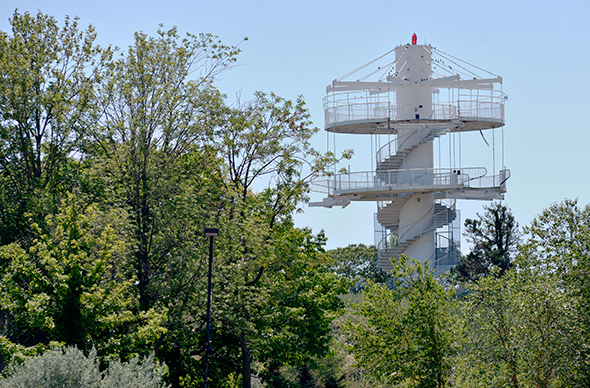 Ontario Place hasn't been an active amusement park since 2011, but it was still odd to realize the other day that the colourful waterslide that's marked the east island of the complex for over two decades has been quietly dismantled this year. The central tower remains as a bizarre and inaccessible panoptic lookout, but the fun fled this place long ago. 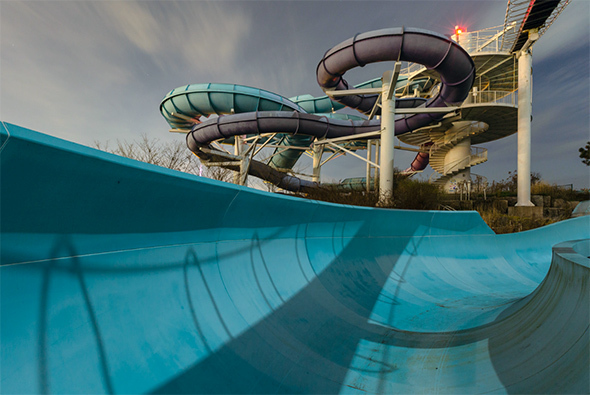 What remains of the park had fallen into complete disarray over the last few years, but lax security meant that urban explorers made regular visits to the waterslide over the last few years. 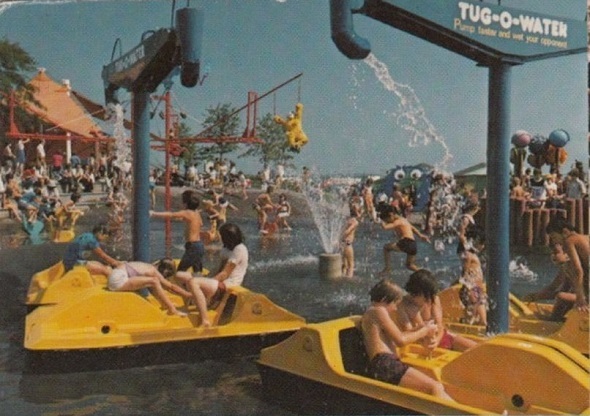 Some of the photos that remain from this clandestine trips are a eminder of just how cool the water park was as far as these sorts of attractions go. 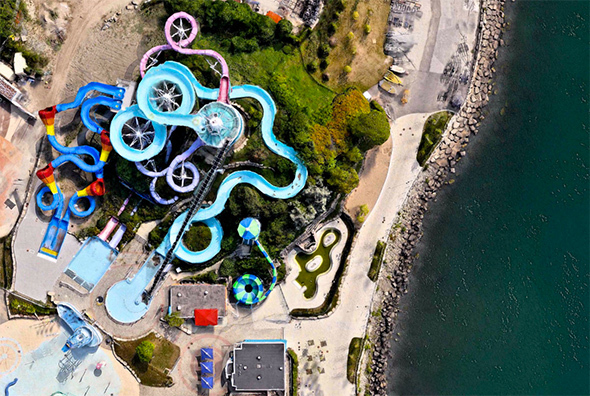 When Ontario Place first shut down in 2012, the water park bore a brand new attraction in the form of Topsy Turvy, which was installed the year before but never went into regular use. It was promptly removed upon the park's closure and eventually became the Typhoon slide at Canada's Wonderland. 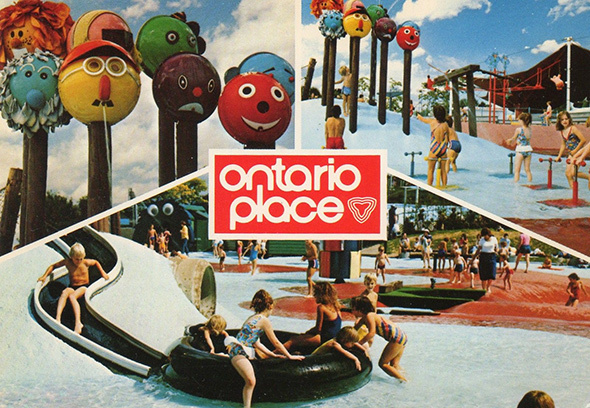 The remaining coloured slides that were first installed throughout the 1990s remained in place until the beginning of May, when they were removed likely as a deterrent against intrepid explorers and daredevils eager to put the now dry slides to alternate uses. Not much fuss was made about the partial demolition at the time, but it seems worth noting all the same. 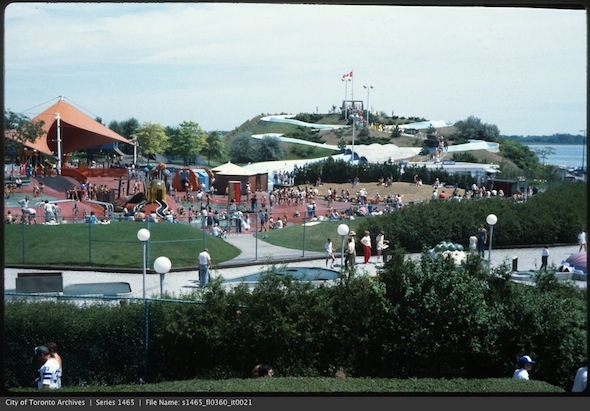 The old concrete waterslide was installed at Ontario Place in 1978 before eventually being replaced in 1993, and for many who grew up during the 1980s and 1990s the water-based attractions were the highlight of a visit to the park. They offered the sort of carefree fun that activates our strongest nostalgia all these years later. It will be a while before we get to see what the new Ontario Place looks like. Work on the new green space at the eastern edge of the former amusement park is behind schedule. In any case, the entertainment attractions of yesteryear won't be coming back. And with that a little bit of Toronto's collective childhood is extinguished. Photos by Evan Russell Tom Ryaboi, Neil Ta, Derek Flack, Chuckman's Blog, and the Toronto Archives.